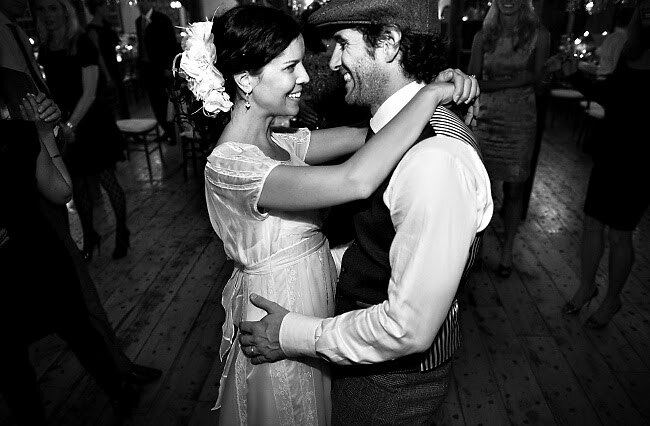 Brooklyn based photographer Susan Stripling was kind enough to share this beautiful wedding she photographed in October. I thought it was a perfect wedding to share this week with all the rain we’ve been getting (and more to come!). 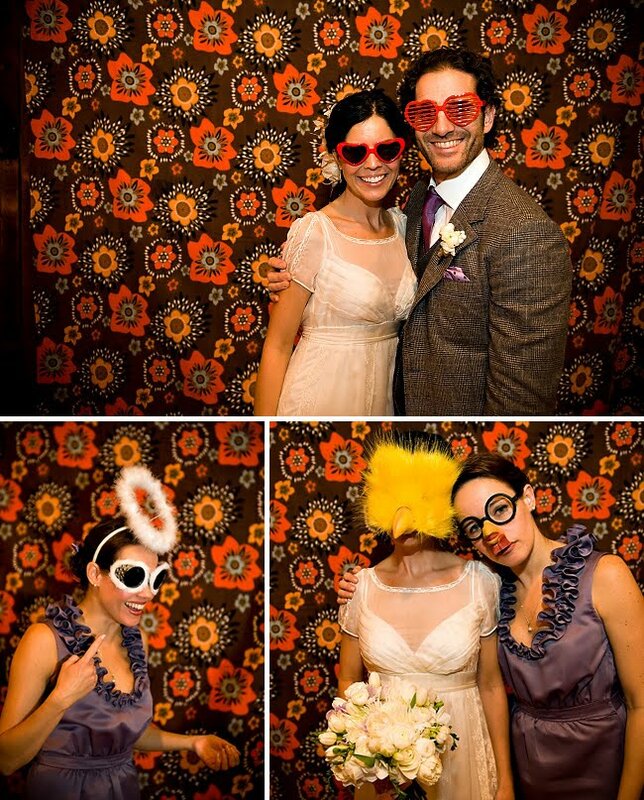 Such a pretty – and fun – wedding! 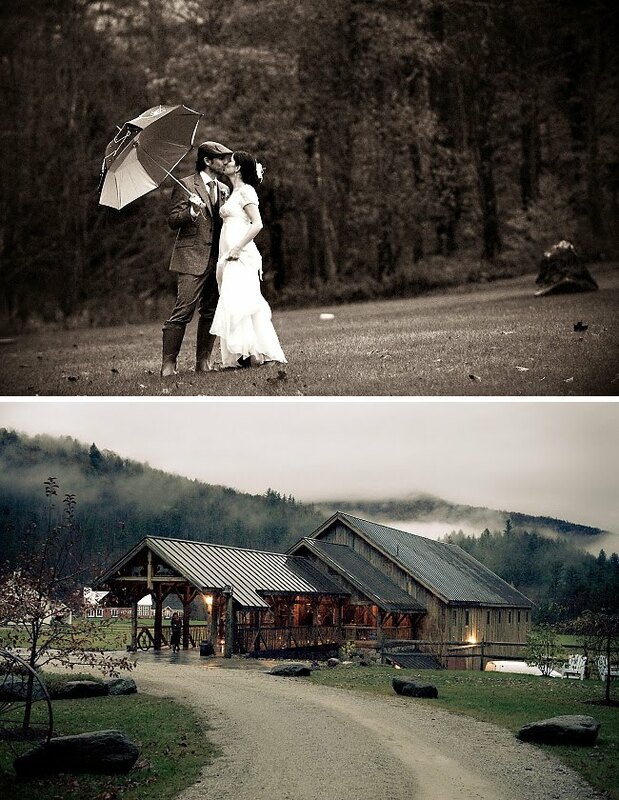 The wedding was at the gorgeous Riverside Farm in Pittsfield, Vermont. Mindy + Jonathan live in NYC, but love to take weekend trips to Vermont, so it just felt right to get married there too. Mindy was sweet enough to provide some details also! Love Jonathan’s vest! That stitching detail is so perfect. And the white ranunculus boutonniere is a perfect compliment. A fun detail about the ceremony from Mindy, We did a “ceremony shot”–mid ceremony we had waiters bring out a shot of baileys and butternut schnapps for everyone, the shot was done to show support of our union. Jonathan and I waited until the guests finished their shot, then we toasted back to them and did our shot. The shots were a surprise to everyone (including wedding party) and it brought a true feel of celebration, warmth and laughter to the room. What a fun idea! Isn’t this reception just to die for? I LOVE all those different chandeliers and the classic white and green palette. The Dress: Every bride has a different feeling or image she wants on her wedding day. I wanted to look and feel “sweet.” I took a picture of Kiera Knightly from Pride and Prejudice to the bridal salons. When I showed the picture to Lydia, bridal consultant at Mark Ingram (New York City), she returned immediately with the dress. I could not believe it. The dress is made by Alberta Ferretti. Jonathan’s Attire: Jonathan knew he wanted a bespoke suit… and he knew he wanted it from a shop that he walked by everyday on Mott Street. 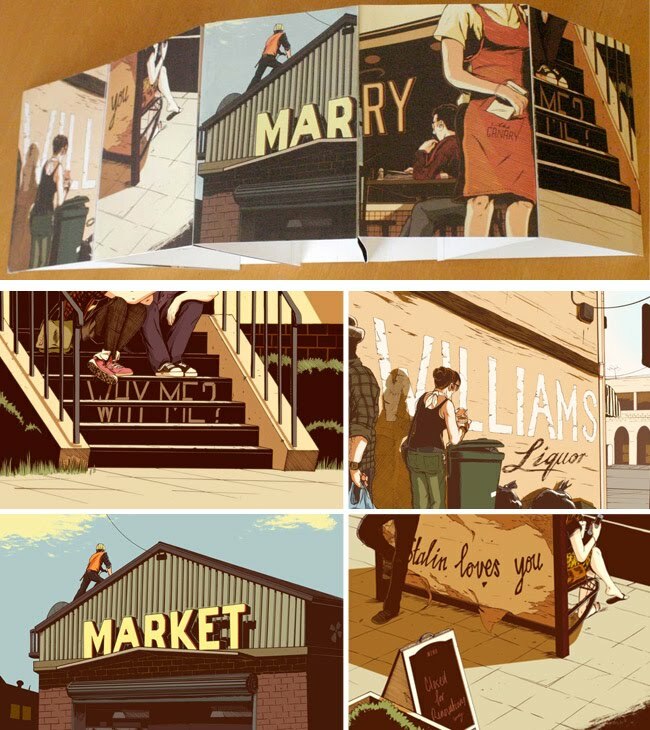 Lord Willy’s – owned by a husband and wife who are amazing to work with! Their attention to detail makes the experience so special. Jonathan got the suit, tie, shirt and boxers (only seen by me) there. Thank you so much for sharing this beautiful wedding with us Susan! You captured it just beautifully. Congrats also to Mindy + Jonathan – and thanks Mindy for the extra details. 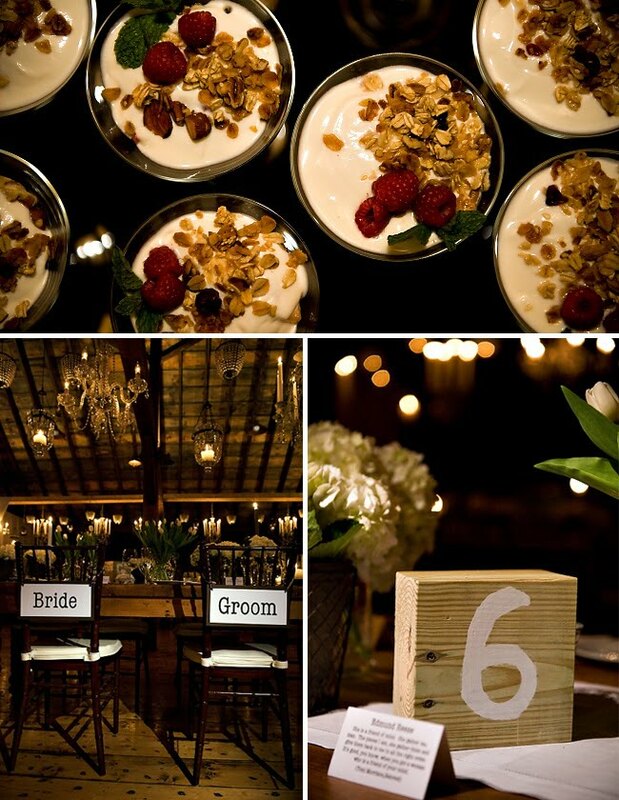 Check out even more from this wedding on Susan’s blog. Gorgeous! I just love it. The boots are the best. Please tell me you know where her dress is from! I LOVE it! this wedding is absolutely stunning!!! AH Vermont anything is enough to get my attention. I would love to live in this state! this has to be one of the coolest weddings I've seen you display, yet! love it! 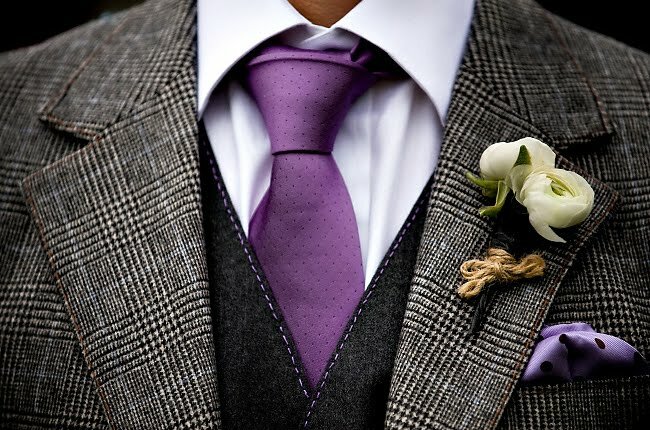 can you please tell me where the groom's suit is from? it is fantastic! the tie is beautiful as well. GORGOUS! Very lovely wedding, and the photography is amazing! 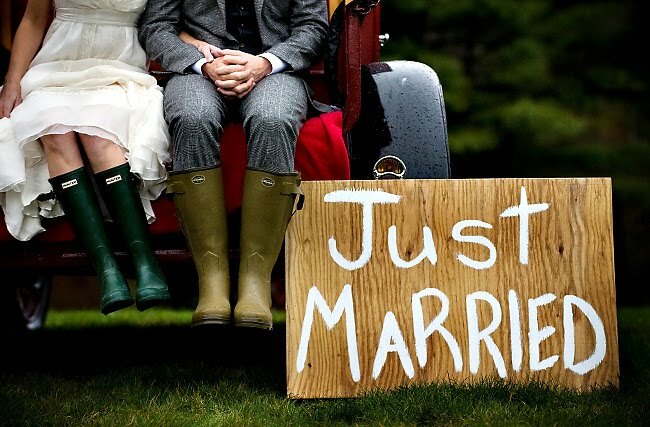 I love love love the picture with the just married sign and their rain boots. Never leave home without our wellies! love love love the dress!!! please share with us- where is it from?!?!? i love absolutely everything about this wedding, it's amazing. thank you for sharing!! 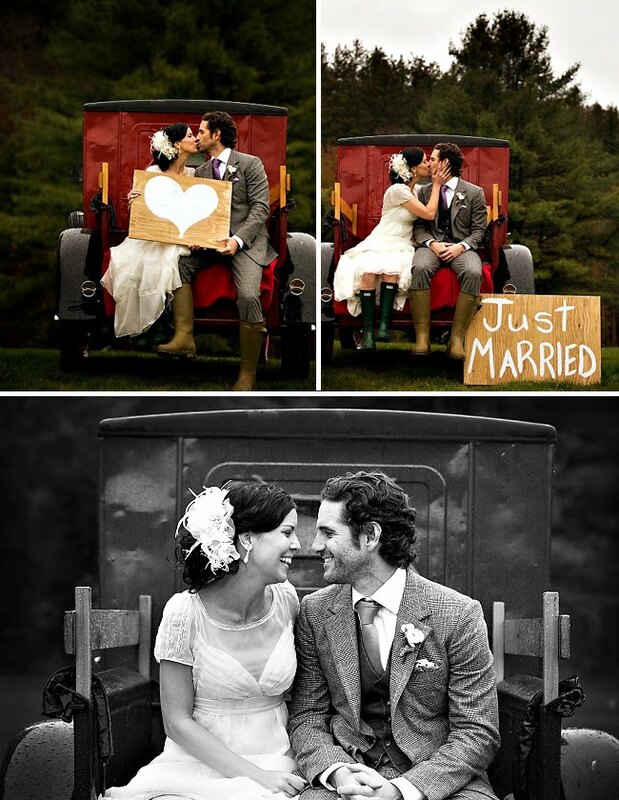 I am SO THRILLED that you have featured a Vermont wedding!! Though my boyfriend and I work in Manhattan, we spend almost every weekend in VT. In the next couple years we plan to make it our full time home and marry there. PLEASE PLEASE PLEASE, if you have any more VT weddings, do feature them! Also, many thanks as this is my very favorite wedding blog to frequent! You do a lovely job! OMG this wedding looks perfect!!! I'm in LOVE with this wedding! I wish we had places like this in Florida! incredible. you can see the thought they put into every detail. So beautiful!! I love the reception decor! omg I love this post so much I had to comment. This is the prettiest wedding I've been in months! I love I love!! ha does anyone actually READ the blog posts cuz all the info about her dress and his suit is right there…no need to ask for it. 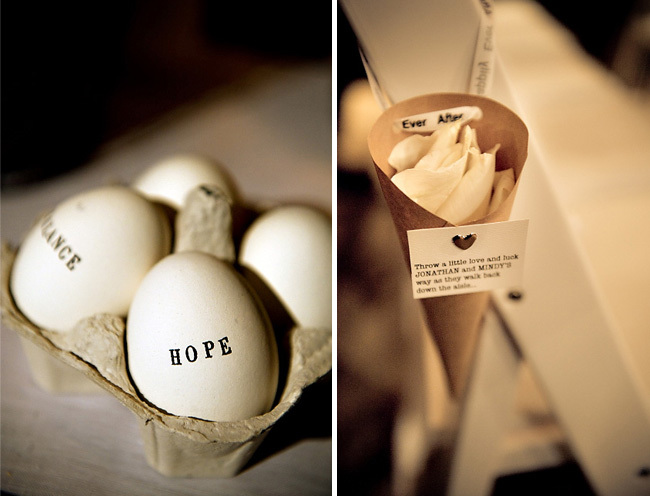 i love this wedding too, and share the brides wish to look and feel "sweet" on my wedding day as well! my dress is the augusta jones chenoa dress and it is oh so sweet! Everything about this is scrumptious – the details and the photography. LOVE! What a gorgeous wedding! 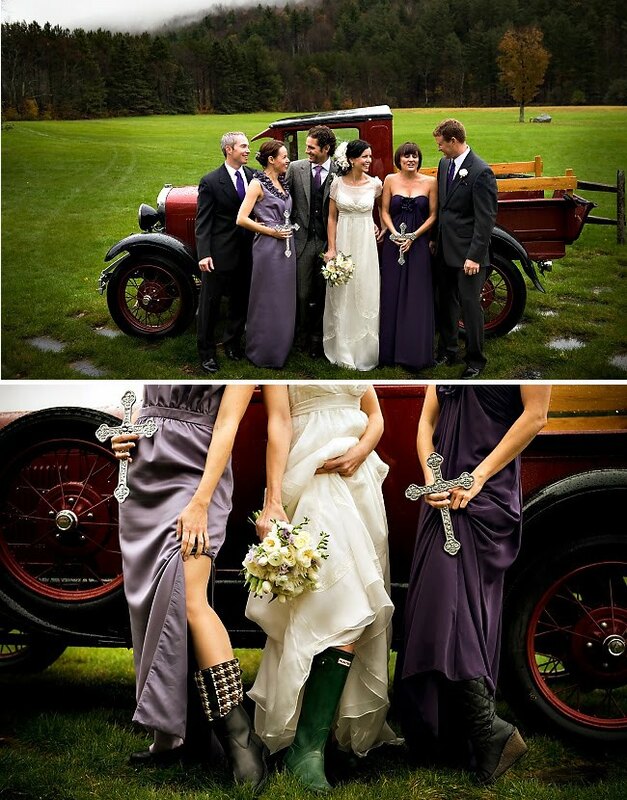 I especially love the ceremony and reception decor and the wedding party's boots! So fun. 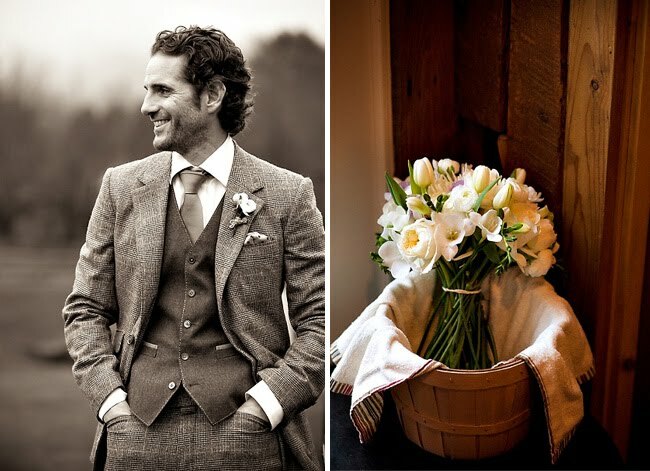 I love the grooms suit and boutonniere with the twine detail. 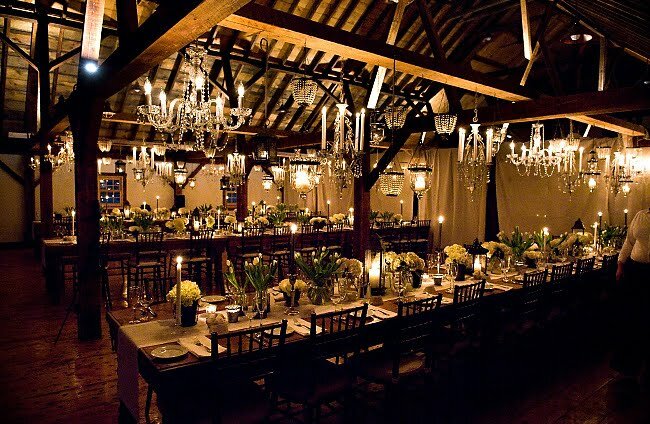 The chandeliers over the tables at the reception makes my heart sing. I can only say: WOW! Great wedding, fabulous couple and fantastic photo's! Swoonity swoon! It just looks so fun and beautiful. Though I'm sure a lot of work went into it, from the photos it has the air of effortless charm. breakfast for dinner?! best idea i've heard in a while. stolen. stop it, you're killing me! i'm obsessed with this wedding. What a dreamy wedding! Love yhe local, slickers and muted colors. Looks like it was a beautiful day all around! 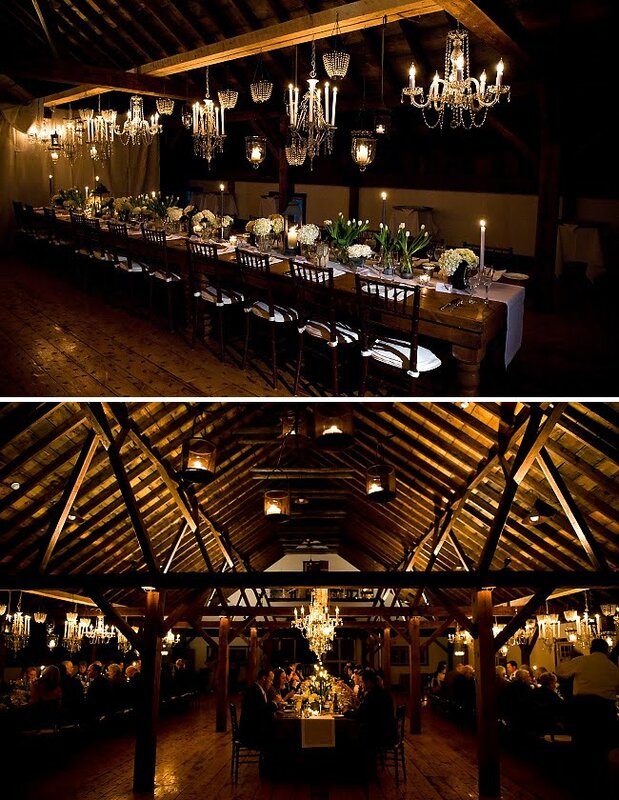 love the look of this rustic vintage wedding…so down to earth, yet elegant! i mean really? could they be any cuter? there are so many things i love about this wedding i cant even count them all! I need the product number of that wedding gown! I love it, but I can't seem to find it on the Internet. Can someone please help? Vermont is one of my favorite places to photograph and what a fantastic location Riverside Farm is! I absolutely love her dress and it’s vintage feel. Now THIS is a great wedding. The location is unbelievable, the bespoke suit is to die for, and frankly, the rain is the element that clinches the deal for me. Wellies, breakfast for dinner (LOVE, LOVE, LOVE! 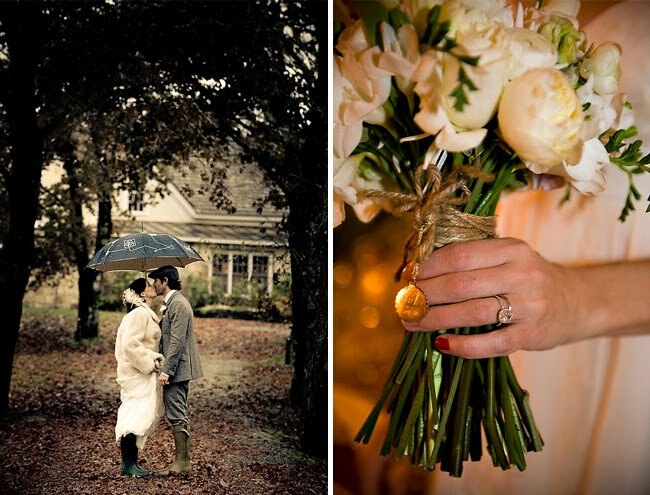 ), umbrellas, and coziness all add up to a wedding I wish I attended myself. may i ask where Johnathan bought the hemstich vest? I absolutely love everything about this wedding! 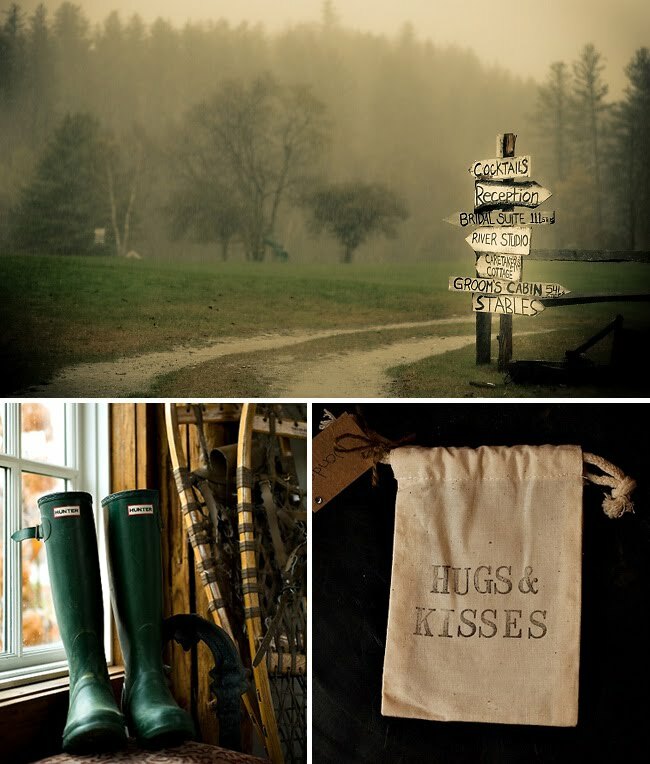 Vermont mountains, barns, and of course breakfast for dinner!